Slice Labs Inc., known for its on-demand insurance cloud platform, recently launched a new business unit. The division, named Slice Mind, centers around an “insight engine that helps companies with “personalization, experimentation, simulations, predictions, risk modeling and product recommendations,” according to the company’s promotional material announcing its debut. It relies on artificial intelligence, machine learning, data and behavioral science to get the job done, and Slice is marketing its new venture to both its Insurance Cloud Services users and the general public. Stuart Baserman, CTO of Slice Labs, explained to Carrier Management about the new business unit, how it will work and why it should matter to carriers. His responses are below. Q: Who is Slice Mind’s target audience? Baserman: The target audience is insurers or companies seeking to include insurance with their offerings and companies looking to improve in areas such as underwriting, claims administration, pricing and customer experience. Q: How will Slice Mind work? Baserman: Slice Mind products and services usedata from AI, machine learning and behavioral and social sciences to provide actionable insights. For example, Slice Mind’s simulation and learning capabilities allows companies to discover new customer groups [and] to help companies personalize customer engagement, risk assessment and forecasting by combining data from multiple sources. 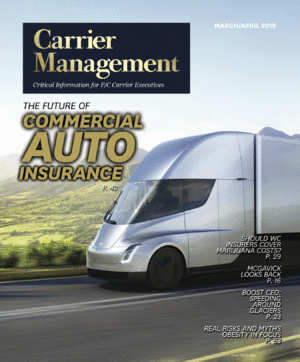 Q: How will predicting potential claims help carriers save money? Baserman: By predicting potential incidents, we help customers prevent future losses from occurring. Q: Why should carriers care about Slice Mind? Baserman: Feedback from our customers tells us there is a need for carriers to effectively use data to predict risk. A common challenge is taking data from multiple sources and turning the data into insights that could inform business decisions across many functions. Slice Mind brings value to data through its core capabilities: prediction, simulation, experimentation and nudging. We ingest and combine data from multiple sources. Using AI and machine learning, we are able to underwrite, adjust customer journeys, resolve claims and adapt offerings.